Discover what makes our team tick in the second of our new series of interviews with our staff. It’s time to meet our assistant manager Justina. Originally from Lithuania, Justina has been with us since June 2017. I take care of the day-to-day operations at Café - that involves making an action plan for the day, ensuring the restaurant is ready for each service, and that the staff are well briefed. Even a small restaurant like Cafe has so many ‘moving pieces’, keeping everything organised and moving smoothly is of paramount importance. The favourite part of my job has got to be the interaction with people - both the guests and my colleagues. We are very lucky to have so many great regular patrons and that in turn makes it a great place to work. We seem to also attract great staff, so maybe just coming to work is my favorite part of the job! What’s special about Cafe St Honoré? Cafe is unique in so many ways but I would have to say the one thing that makes it really special is that it has such a legacy. There are so few places that have been open for as long as Cafe and, because of that, there are so many stories to be told and to hear about the restaurant. What do you like to cook at home? I did not cook much at home at all before working here, but I am definitely way more interested in food now. I do not have a staple dish as such. I normally buy seasonal vegetables from my local farmers’ market and start experimenting. I do put cheese on everything though. Where do you eat out in Edinburgh? There are so many great places to eat in Edinburgh, but I always chose to dine at Cafe if there is a special occasion. Slow Food Edinburgh’s Big Table is returning to Cafe this May for the first in a series of three dinners. First up, we’ll be focusing on sustainability with our chef director Neil Forbes hosting the evening. As one of the Sustainable Restaurant Association’s founding members, Neil will discuss who he buys from and why, and the challenges facing restaurateurs working with small, local producers. He will also share many other important, and sometimes surprising, elements of sustainability, including treating staff well. 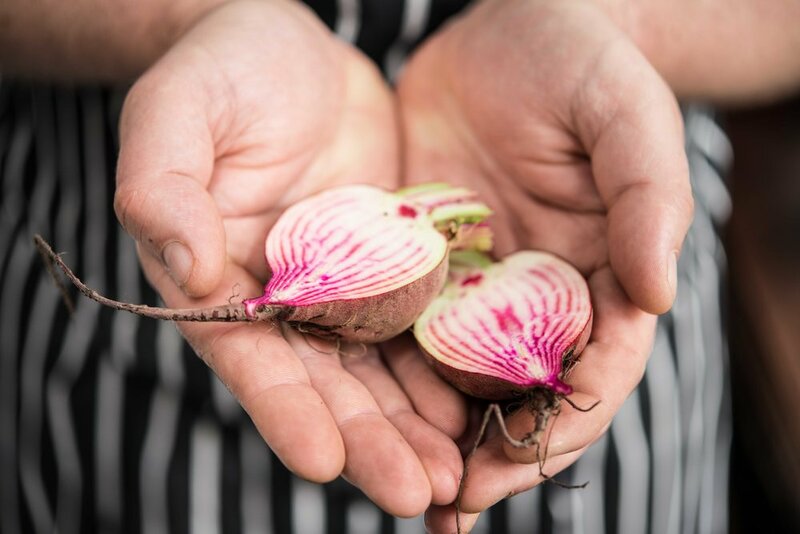 We’re proud to be loyal supporters of Slow Food Edinburgh, who work to cultivate a good, clean, fair food culture in and around our city, by supporting local producers, enjoying food and raising awareness of global food issues. Price: £22.50 (£20 for Slow Food members) including a glass of wine. Please call 0131 226 2211 or email eat@cafesthonore.com to reserve a place. As the name suggests - seating is communal! Gather everything you need. 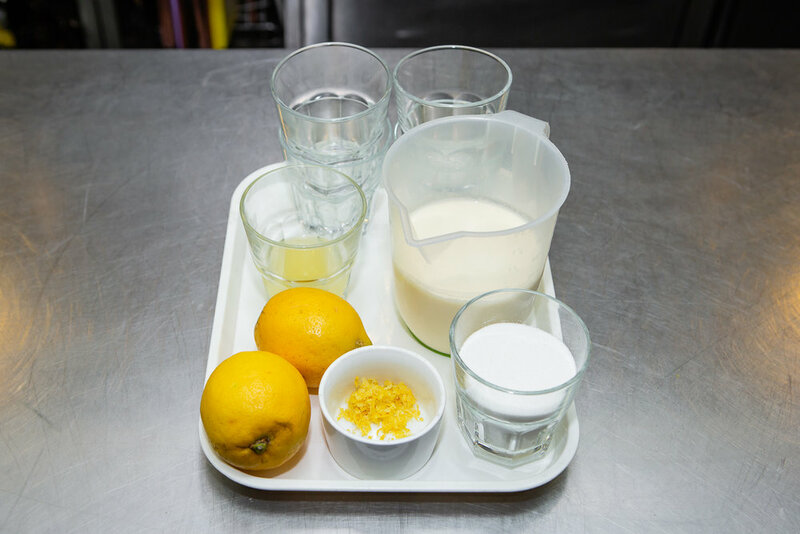 900ml double cream, 225g unrefined caster sugar, 2 organic lemons and 10 small glasses. Bring the cream and sugar to the boil slowly in a thick-bottomed pan. Boil for 3 minutes. Add the juice and zest of the lemons. Infuse for 5 minutes. Pass through a fine sieve into a jug, then divide between the glasses. Garnish with a new season strawberry and a dusting of icing sugar. Perfect served with a nice piece of shortbread. Pre-heat the oven to 190°C. Heat the oil in a small pot and caramelise the onion with a little salt by cooking gently with the lid on, stirring occasionally. Add the cream, garlic, thyme and a little salt and pepper to a small pot and bring to the boil then simmer gently for 5 minutes. Strain through a sieve and set to one side. Cut the potatoes into thin strips, then layer in an ovenproof dish with the onion and sprats (or anchovies) until the dish is filled. Add a little seasoning as you go. Then pour the creamy mix all over and bake in the pre-heated oven for 30 to 40 minutes, or until it just starts to turn golden. Top with the breadcrumbs and bake for a further 5 minutes. Serve hot with a chopped parsley garnish. Join us on Saturday 4th May when Neil will be demonstrating traditional methods of curing, pickling and preserving. The masterclass will cover everything you need to know to keep your larder well-stocked, including how to smoke fish, make bacon and the best ways to pickle and preserve veg. Getting the family together for any celebration is all about relaxing and enjoying the moment. Sitting around the table to enjoy good food is one of the nicest ways to spend time together. This Mother’s Day, let time stand still whilst you eat great food and create memories. All mums will receive a glass of fizz with our compliments. We also offer BYOB on Sundays at lunchtime, so it’s the perfect opportunity to bring that lovely bottle from home you’ve been saving for a special occasion. 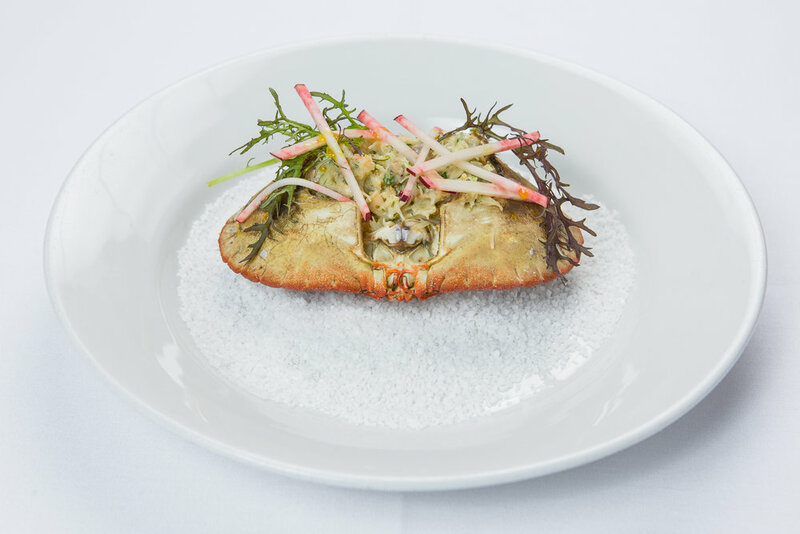 We take pride in sourcing wonderful ingredients from local suppliers, and we always offer separate gluten and dairy-free menus. See our daily menus here. 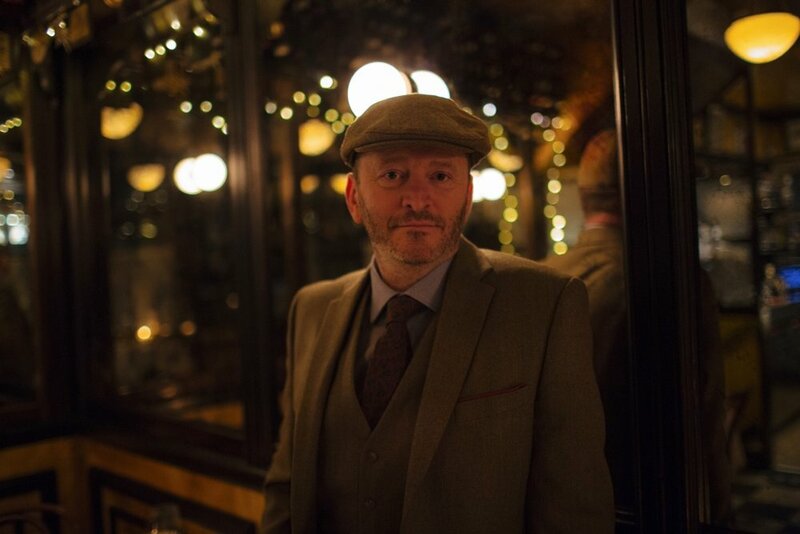 To book a table, call 0131 226 2211, email eat@cafesthonore.com, or click here. Firstly, ensure your knife is good and sharp, then cut the roe deer into a smallish dice. Not too small as you still want to taste the meat. Add this to a mixing bowl along with some of the shallot (you can add more if you wish), cornichons, capers, parsley and chives and mix. Use your taste buds and add as much or as little Tabasco, ketchup and Worcester sauce as you want. Give the mixture a good season with salt and pepper and add a wee squirt of rapeseed oil. Taste again to check the seasoning. Make the croutons by frying the bread in a teaspoon of rapeseed oil and a teaspoon of butter until golden all over. This should take about 5 to 10 minutes on a low heat. Dress the salad leaves and radish slices in a little oil and season. To serve, rub a little oil inside a metal ring a place it on a plate. Fill with half of the tartare mix and repeat on another plate. Top each tartare with the dressed salad a few croutons. To make the jus de nage. Add all the ingredients to a pot and bring to the boil. Simmer for 30 to 40 minutes and season with salt and pepper. Strain off as much stock as you need and retain the rest for something else. Make the carrot butter sauce by placing the finely-diced carrot in a small pot with the sweet wine, and cook until half the wine has evaporated. Next add the jus de nage and reduce by half. Then add the cream and reduce by half again. As this is bubbling away, swirl in the cold butter. Season and add a few drops of lemon juice. Continue stirring until all the butter emulsifies. Don’t over heat the sauce or it will split, so do this gently off the heat. Season the scallops with a kick of salt and pepper, then sear them in the oil in a hot, non-stick frying pan, flesh-side down. Cook for 3 minutes then remove from the pan and flash them under a hot grill, or in a hot oven, in their shells. To serve, trickle the butter sauce over the scallops and garnish with chervil. Discover what makes our team tick with our new series of interviews with our staff. First up, our head chef Joe Simpson, who’s been with us for six years. Having the freedom and opportunity to change the menus frequently prevents the team from becoming complacent, ensures we’re always evolving, and makes Cafe a great training ground for chefs. The restaurant itself is beautiful, with a really special, intimate feel that’s impossible to replicate. Most importantly for me though is that the food we serve, is the food I love to eat. Simple, honest and delicious. I wish there were more restaurants like Cafe that I could dine in on my days off. We’re also highly committed to all things sustainable from sourcing of produce and providing good working conditions, to recycling and reducing waste. It’s a great source of pride for the whole team. There are too many to mention. I love the sense of occasion that accompanies a classic roast (the trimmings are often as good as the centerpiece) be it lamb shoulder, chicken, pork belly or a beef rib or sirloin. I have fond memories of these feasts going back to early childhood. I also have a soft spot for classic brasserie fare like confit duck or cassoulet, and I’m intrigued by the traditions associated with these recipes. Nowadays, many classic French dishes are viewed as ‘old-hat’, but despite constantly changing food trends, they will always have an important part to play in European food culture. I adore paella – another dish steeped in history and tradition – and cooked perfectly it is hard to beat. But my list is long and includes risotto, carbonara, tagine, Cullen skink, Thai curry, tacos, burgers, pizza, steak. I guess so much depends on time, place and company. A good wine to wash it all down is a must! I own a vast collection of cookbooks. Some I’ve had for years. It’s always nice to revisit and rediscover forgotten gems. A few books always occupy pride of place however. Anything written by Thomas Keller. I admire his absolute commitment to perfectionism and his meticulous technical approach to cooking at his flagship restaurant The French Laundry, his bistro, or bakery. These are beautiful books that everyone can learn something from. Fergus Henderson’s ‘Nose to Tail Cooking’ is a great read with a witty and unique writing style. He’s been so influential in defining British cooking since the early 90s. His restaurant St John in Clerkenwell, London, is a true British institution. The River Café Cookbook(s). A bible of Italian cooking, with emphasis on regionality and core ingredients. The recipes are generally accessible and I particularly enjoy the sections on pastry. Chocolate Nemisis will always be the ultimate dessert in my eyes! I really believe that food is only a proportion of what defines a great restaurant. I’ve eaten incredible food in some of the most highly acclaimed restaurants but haven’t necessarily loved the overall experience. Very occasionally a restaurant will get it just right. The service should be professional, but friendly and genuine; the food and wine should be honest and delicious, with provenance; and the atmosphere should be relaxing and fun. Then it’s really special. For me a few stand outs are River Café in London and Vue de Monde in Melbourne. Closer to home, I’m a huge fan of El Cartel, Locanda de Gusti and Origano. What piece of kitchen equipment is indispensable? Apart from a stove and an oven I would say an ice-cream machine. Even in the depths of winter I love ice-cream, especially freshly churned. Where do you see yourself in ten years’ time? Cooking in a restaurant on a vineyard with a vast kitchen garden in New Zealand. I would love to have a few vines and produce my own wine. Running a small cook school is another dream of mine. We bake and serve fresh sourdough every day at Cafe. Mornings always begin with bread-making – as we believe no good meal is complete without a proper sourdough! 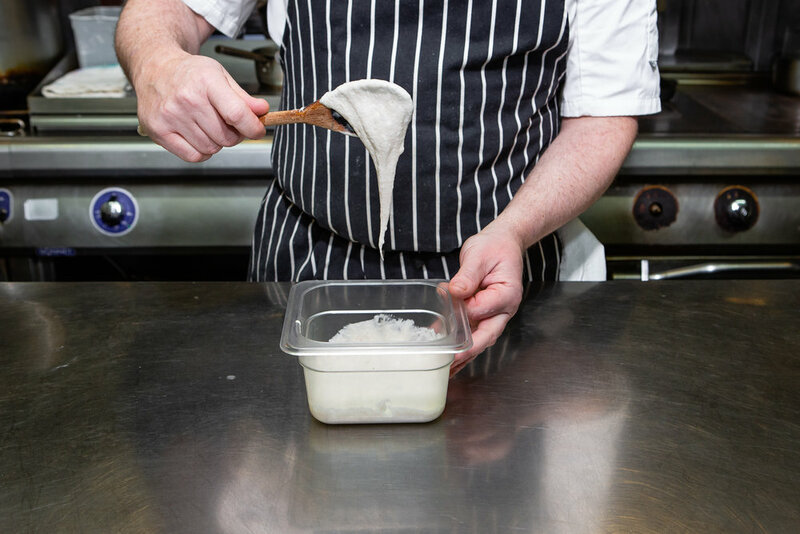 It’s easy to start making sourdough at home with these 6 easy steps from Neil. Keep scrolling for our sourdough recipe. Add 200g strong, white organic flour and 200ml warm tap water to a bowl. Combine into a thick paste using a wooden spoon. Don’t use any antibacterial chemicals to clean any of your utensils as this kills the good bacteria you need to make a natural yeast. Pour the mix into a plastic, ceramic or glass container and leave to ferment for 2 days in a warm, or room-temperature, place. Cover with a lid or cling film, and give it a stir every day. It’s important that the starter isn’t in contact with anything metal. After 2 days fermenting, feed the starter by adding 100g strong, white organic flour and 100ml of warm tap water. Mix and replace the lid and leave again for a further 2 days. Repeat this method after another 2 days. The starter is ready to use (see recipe below). If using again the next day, leave it on the countertop. If not, place in the fridge where it will lay dormant until you start to feed it again. The finished loaf, made with nothing but flour, water and salt. I use Mungoswells flour, Isle of Skye sea salt and good old tap water. Invest in a proving basket to achieve a lovely shape. Add all the ingredients to a mixer and beat on a slow, low speed. The longer the better. If the dough is looking a bit dry, add more warm water. The texture of the dough is dependent on the temperature and moisture in the air, and I would always suggest making a slightly wetter dough than normal. I have very rarely failed with a sloppy, wet dough! Once all the ingredients are incorporated, place the dough in a lightly-oiled bowl or tub with enough room for it to double in size. Cover with a lid. Leave for around 3 hours at room temperature, then refrigerate overnight. The next morning, let it reach room temperature before shaping gently into a ball. Once shaped, place the dough into a semolina-dusted banneton or proving basket. If it’s a wet dough be careful and not to over-prove at this stage. Keep it somewhere cosy but not too hot for an hour or two and it’ll prove beautifully. Heat the oven to 200°C and turn the loaves out onto a tray, tucking them in underneath just before they go in the oven. Bake for 20 minutes, then reduce the heat to 150°C and continue to bake for 1 hour and 10 minutes. Remove from the oven and allow to cool on a cooling wire. We were honoured to be invited to feature in Truth, Love & Clean Cutlery - a new, kinder, dining guide designed to identify the restaurants and food experiences that go above and beyond great food and wine in the ethical, organic and environmentally sustainable ways with which they run their business. It’s great to be part of a growing number of establishments that place such a high emphasis on these very important elements of running a restaurant. We’re all involved in the successful running of Cafe, so we bought the team T-shirts to show how proud we are of everyone’s contribution. Edited by Giles Coren in the UK, you can find out how to buy a copy here. One of our favourite shops is just around the corner. Stewart Christie & Co. is the oldest bespoke tailors in Scotland. Tracing its trading heritage back to around 1720, they are also the second oldest business in Edinburgh. After four generations in the same family, they’re beginning a new era and focusing more on their own label clothing. And that’s where we come in! Their superb blog is a cornucopia of info on everything from tweeds to poetry peppered with a good dose of interesting people wearing their clothes. Our chef director Neil Forbes was suited and booted and spent the day posing for the camera at Cafe whilst answering a few questions. See more pics and read the full blog article here. All tailoring by Stewart Christie & Co. Remove the steak from the fridge. Wrap the garlic bulb in foil with a little oil and salt. Bake for 1 hour. Remove the garlic from the oven and turn up the heat to 200°C / Gas Mark 6. To make the roast garlic butter, simply remove the garlic from the foil and squeeze the roasted flesh into a bowl. Add 100g butter, the parsley, season with salt and pepper and mix. Roll the butter mix up in a sheet of greaseproof paper like a sausage and refrigerate. Once firm, cut into discs the size of a pound coin. Make a salad dressing by adding the honey, mustard and vinegar to a bowl, seasoning with salt and pepper then whisk whilst trickling in the rapeseed oil. Set to one side. Place a good frying pan on the hob and take it to a moderate heat, then add the beef fat. Season the steak and add to the pan with the thyme. Turn the heat up a bit if needed, then add the knob of butter and continue to cook on each side until it begins to caramelise. This should take about one minute on each side. Season again and place in the oven for 1 to 2 minutes. Remove and rest on a plate in a warm place. Just before serving place a disc of garlic butter to the still-warm steak to melt. Mix the red onion with the salad leaves and toss with the dressing. Season and place onto a fresh plate with the steak. Peel the pears and place them in. apt with a sugar and water solution made with 500ml water, 100g sugar and 1 cinnamon stick. Cook on a low poach for 1 to 2 hours until the pears are soft. Allow to cool. Prepare 4 fluted tart shells with a little melted butter and a dusting of flour. I use fluted tins with removable bases. To make the pastry, beat the icing sugar and 120g butter together until fluffy and creamy. Add 240g flour and gently add an egg. Combine to make a dough. Rest for 15 minutes then roll out and line the tart shells, removing any overhanging pastry. Rest again. To make the frangipane, begin by beating 4 eggs, then cream 200g butter with the caster sugar. Add the almonds, then 200g flour and the beaten eggs to make a thick paste. Once the pears are cool, cut into quarters, then remove the cores and slice thinly. To assemble the tart, spoon the frangipane into the tart shell, then add a few pear slices, then top with more frangipane. Don’t overfill the tarts as they will rise in the oven. Decorate with flaked almonds and bake for 30 to 40 minutes, or until the pastry is cooked underneath. Serve hot with a dollop of crème fraîche. Cut the sprouts into quarters and blanch in boiling, salted water for 2 minutes, then refresh in cold water. Heat the oil to medium heat in a large, oven-proof frying pan and add the pheasant skin-side-down, and season with salt and pepper. Cook for 2 to 3 minutes, then turn and continue to cook for a further 3 to 4 minutes. Add the bacon lardons to the pan and cook until golden. This should take 4 to 5 minutes whilst the pheasant is cooking. Place the pan in the oven and cook for 5 minutes. Remove and add the butter, chestnuts, zest of orange and thyme, and sprouts and give the pan a toss to combine everything. Remove the pheasant and let it rest for a few minutes in a warm place before giving it a final season. To serve, arrange the garnish around the pheasant on a warm plate and serve with gravy if you like, or a cream and tarragon sauce would work too. Firstly, lay the pork belly out on a board and season with salt and pepper, then sprinkle over half the fennel seeds and half the lemon zest. Roll the belly up like a swiss roll and tie with butchers twine, or string, but not too tight. Next, place the pork in a pot and cover with hot water. Add the carrot, onion, celery, thyme, bay leaf and peppercorns. Bring the pot to the simmer then cover with a lid or foil and place into the oven for 3 to 4 hours until the meat is very tender. Remove from the oven and allow the pork to cool in the liquid for about an hour or so, no rush. Once cooled, remove the pork from the liquid and drain on a tea towel to make sure it’s dry. Then line your work surface with 4 layers of clingfilm about 6 inches wider than the belly and place the pork onto the cling film. Remove the string with scissors and discard, then roll the pork in the clingfilm very tightly and refrigerate overnight. To cook, preheat the oven to 180°C, then cut 4 slices of pork about an inch or so thick, and fry in the rapeseed oil for 3 to 5 minutes each side. Then place the pan in the oven for 5 minutes to ensure the pork is hot and coloured. It should be a lovely golden colour. Meanwhile, melt the butter in a pot, and add the remaining fennel seeds and lemon zest to it. Season. Just before serving, add the chopped spring onions to the mash to make champ, and place some in the centre of each plate. Top with the sliced pork and spoon over the sauce. Garnish with crispy sage leaves. Serve at once. We won Best Restaurant Experience for Lothian and Borders at last night’s Scottish Thistle Awards. For over 20 years the Scottish Thistle Awards have been recognising and celebrating excellence in Scottish tourism - and we’re thrilled to be chosen to represent our region at the national finals in March next year. Get your hands on one of our limited-edition hand-made Christmas puddings. They're available to buy from the restaurant at £15 each - including the lovely ceramic bowl they come in. Each pudding serves 4-6. Email eat@cafesthonore.com or call 0131 2262211 to reserve - or just pop in. Available from Saturday 1st December. Follow our simple nine-step guide to making shortcrust pasty and you’ll no longer reach for the pre-rolled variety! Add butter to the flour and rub together until the texture of breadcrumbs. Stir in the salt, then add water and mix to a firm dough. Form into a ball, cover with cling film and allow to rest in the fridge for 20 minutes. Prepare a tart tin with butter and flour. Rub a little room-temperature butter all over the inside of the tin, then dust with flour. Roll the rested dough on a floured surface. Line the prepared tart tin with the rolled dough. Line the pastry dough with 4 layers of cling film, then fill with baking beans. Bake in a pre-heated oven at 180°C for 40 minutes or until just golden.